We uplifted and centered student voices during last month’s Virtual Community Webinar. Not only is it key to involve students as partners and equity agents, but we need to also value the expertise that caregivers and families bring to the table. After all, they are the experts--parents are our first teachers. What might this look like in practice? At HGSE’s Alumni of Color Conference, I had the pleasure of attending a workshop hosted by the National Parent Leadership Institute, which oversees regional Parent Leadership Training Institute sites throughout the country. Despite many situations where parents voices are unheard by school leaders, NPLI maintains that parents lack neither the motivation or will to improve the children’s school experience, but rather, the advocacy skills. This organization helps parents develop those skills through a program with curriculum to develop skills in civic and community organizing, so that they can influence policy and programs affecting their students. 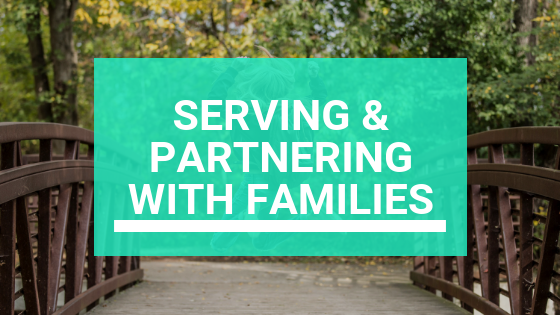 NPLI provides child care, food, and homework help during program hours to truly support parents invested in spending time to develop these skills. While children receive extra academic support in subjects such as literacy and numeracy, families are free to deeply engage in the program content and complete a final project where they graduate at the State Capitol or other significant local civic setting. Leadership and civic advocacy skills can be made more accessible to families and caregivers. Despite whether or not the parents you liaise with are trained educators, their lived experiences and goals for their children should shape the priorities of your school as you serve students. As an organization outside of school, perhaps NPLI is better positioned to garner openness and trust from the 3rd party perspective, while parents express grievances about their child’s school experience. In my own direct service experience in an out-of-school time program, I fielded many frustrating complaints from parents about their school leaders responding dismissively to serious concerns. Before tense situations escalate, I challenge teachers, administrators, and district leaders to consider a fresh perspective: Are you listening deeply to understand? Are you approaching situations with compassion? Are you respecting where families are coming from? How proximate are the school’s cultural norms in comparison to those at home?